It is your main work interface, all other interfaces and functions are called from here. 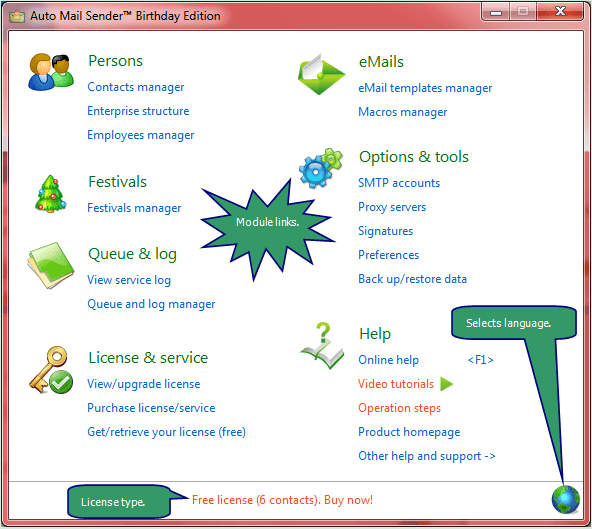 It shows automatically after you ran Auto Mail Sender™ Birthday Edition, if not, please click the corresponding system tray icon to display it. Please click module link to call the corresponding interface or function. Minimized this window will put the corresponding icon into system tray area, to restore it, just click this icon.